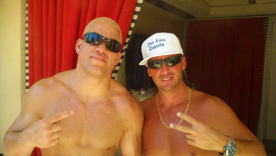 Get Down With Don Loco!Shots Shots Shots Shots Shots Everybody!!! 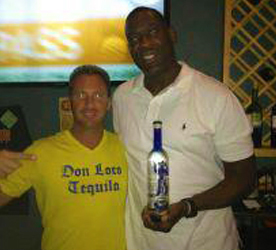 NBA Super Star Shawn Kemp is down with Don Loco Tequila! 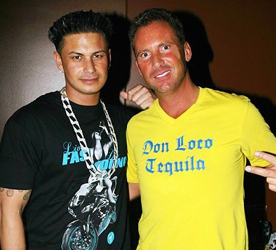 DJ Pauly D is Down with Don Loco Tequila! 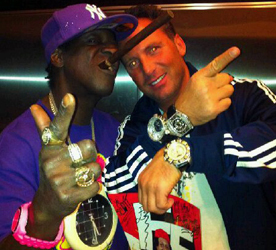 Hip Hop Hall of Fame Artist Flavor Flave is down with Don Loco Tequila! 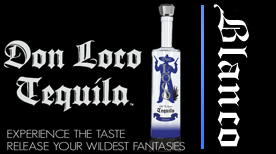 Jenna Jameson is down with Don Loco Tequila! 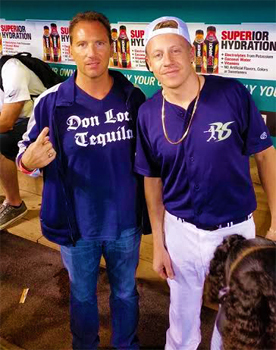 Macklemore is down with Don Loco Tequila! 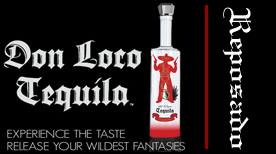 Chanel West Coast from MTV's Ridiculousness and VH1's Fantasy Factory is down Don Loco Tequila! 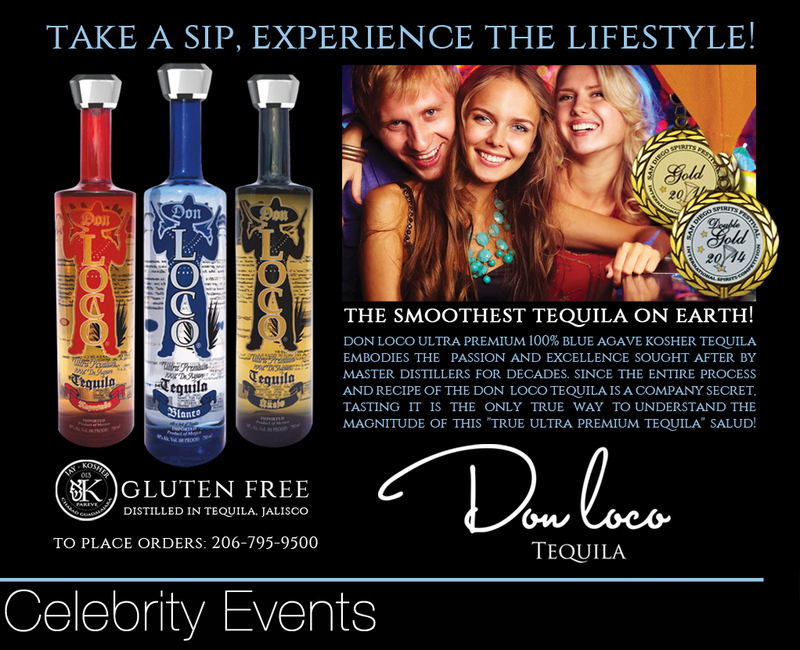 Motley Crue's Vince Neil and Carrot Top are down with Don Loco Tequila! 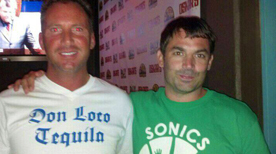 Chris Hansen is down with Don Loco Tequila! 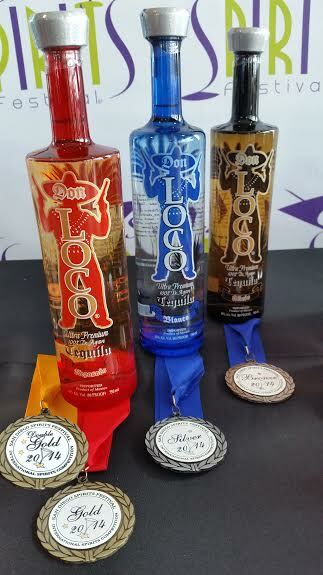 Don Loco's Ultra Premium Blanco is crystal-clear, smoothest blanco tequila on the planet with out the harsh flavor components typically found in most Blanco/Silver tequilas. It has a ultra clean taste yet a sweet and tranquilized aroma with a polished palate sensation that is prized by connoisseurs. 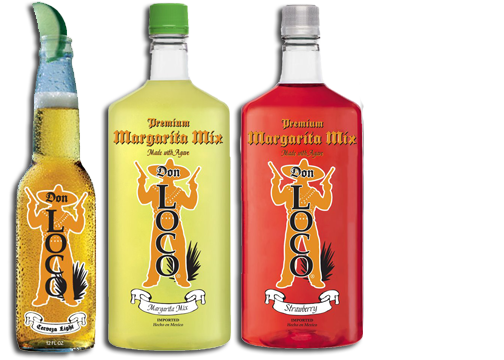 Don Loco's elegant flavor with hints of Vanilla, Caramel and Hazel make it remarkably ultra smooth and can be enjoyed as a shot, margarita, neat, on the rocks or mix for any cocktail. Salud! 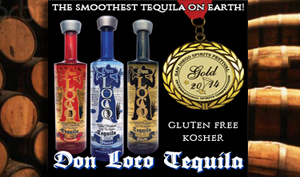 Don Loco's Ultra Premium Reposado is made with the finest estate grown agave plants in the world. The tequila is aged "rested" for a minimum of four months in a mix of French and American oak barrels to further soften and smooth with out the harsh flavor components typically found in most Reposado tequilas. 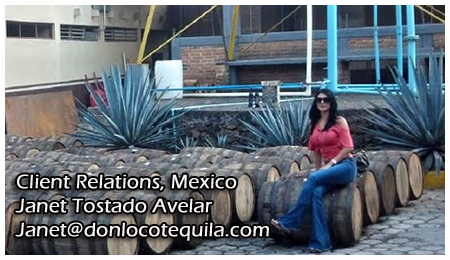 It retains an elegant agave taste, sweetened with the hints of vanilla and caramel imparted by the oak casks. Our Reposado has an exquisite, light-golden hue and is both smooth and well rounded on the palate providing an ideal finish. It makes a ultra premium margarita, one can enjoy its truly rich and complex flavors neat in a snifter glass or as they meld together on the rocks. Salud! 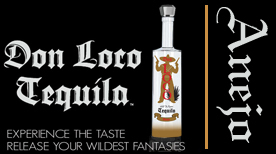 Don Loco's Ultra Premium Anejo is made with the finest estate grown agave plants in the world. It is then aged "rested" in a mix of French and American oak barrels for a minimum of fourteen months, giving it a vibrant, rich-amber complexion. Subtle hints of Vanilla and Caramel blended perfectly together with an undeniable agave aroma. Don Loco's Anejo's elegant, long and slow finish is exceptionally smooth due to both our distillation process and our proprietary family recipe. We recommend that you savor the Don Loco Anejo experience by enjoying its pleasures neat, in either a snifter or on the rocks. Salud! Serving as the crown jewel of Don Loco's Ultra Premium line­up, our Especial Reserva tequila embodies the passion and excellence sought after by master distillers for centuries. Since the entire process and recipe of the Don Loco's Especial Reserva tequila is a company secret, tasting it is the only true way to understand the magnitude of this spirit. Salud! 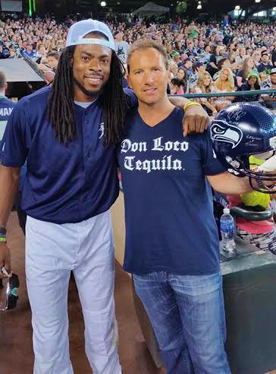 Be a part of the Don Loco Beverage Family today! Don Loco Tequila-Don Loco Mezcal-Don Loco Whiskey-Don Loco Vodka-Don Loco Rum-Don Loco Cerveza-Don Loco Margarita Mix-Don Loco Energy Drinks.